There are many people who consider fishing to simply be buying a rod, putting bait on a hook and then sitting by the side of a river or stream and watching the world go by as they wait for that elusive big catch to swim by. The reality is very different and there are a great many rods and accessories to choose from when it comes to fishing. 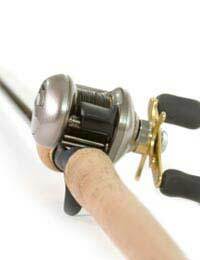 The first thing you have to consider for example is what kind of fishing you want to do and when you have done that and found the rod that suits your style of fishing you then must ensure you have all the relevant accessories to go with the rod. Perhaps one of the most important yet overlooked pieces of equipment a fisherman of any experience can have. Quite simply these are straps with Velcro at either end to allow for a tight wrap around the pieces of the rod. This ensures safety when in transit and stops potential damage to the rod pieces as it is moved from place to place. It is important to take this into consideration as many of today’s modern rods are in segments to facilitate both reach and height of the fisherman and also the weight of the fish they intend to catch. This is essential if you are a sea fisherman; one of the most difficult things to do when fishing is to try and maintain a steady grip on the rod whilst out at sea so the rod holder is invaluable. It attaches to the rail of any boat and allows the fisherman to place his rod into the holder giving him the ability to move whilst not losing his grip. This is also very useful if the fish is large and could potentially snarl the rod. Graphite wax is used as a means of maintaining the joints on graphite fishing rods. Graphite is a light weight material and does not always allow for strength and durability in certain types of fishing so graphite wax is an invaluable aid in helping to strengthen joints and prevent them from breaking or splitting. A remarkably simple but effective idea rod grip wrapping tape is similar in many respects to the kinds of insulating tapes that might be used in the home or the work place. The premise of this tape is to allow for quick and easy re-gripping of a rod without leaving the fisherman with friction burns or cuts on his or her fingers or palms. Again a simple but effective idea in much the same vein as a bicycle repair kit. An emergency rod repair kit allows the fisherman to repair a broken rod end quickly and with minimal fuss whilst outdoors. The kit consists of shrink tubing and rod tips that are placed over the broken rod end and heated gently for a few moments with the flame from a camp heater or lighter. Depending on the type of fish you want to fish for you have a variety of threads to choose from. These threads come in many different thicknesses to allow for the catching and holding of many different sized and shaped fish. Metallic threads are sometimes wrapped in rice paper to give them extra strength whilst silk threads can be less than a third of an inch in thickness. As well as having everything you could need to fish your tackle box should contain an array of supplies and back-ups just like those listed above. Before embarking on any fishing trip, regardless of duration or distance, it is important to make sure you have everything you will need to make your trip as pleasurable and hassle free as possible.